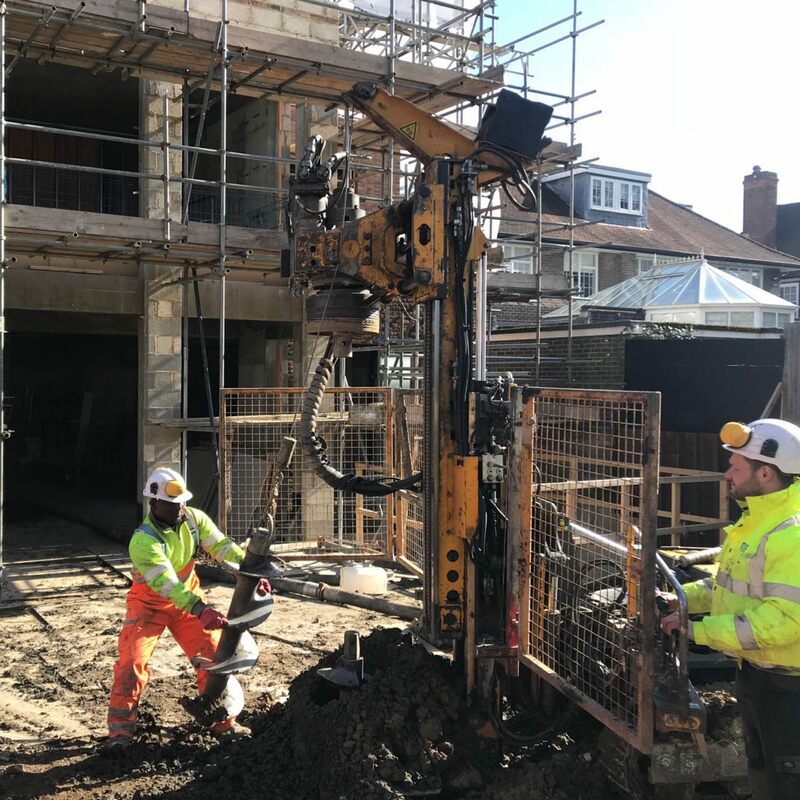 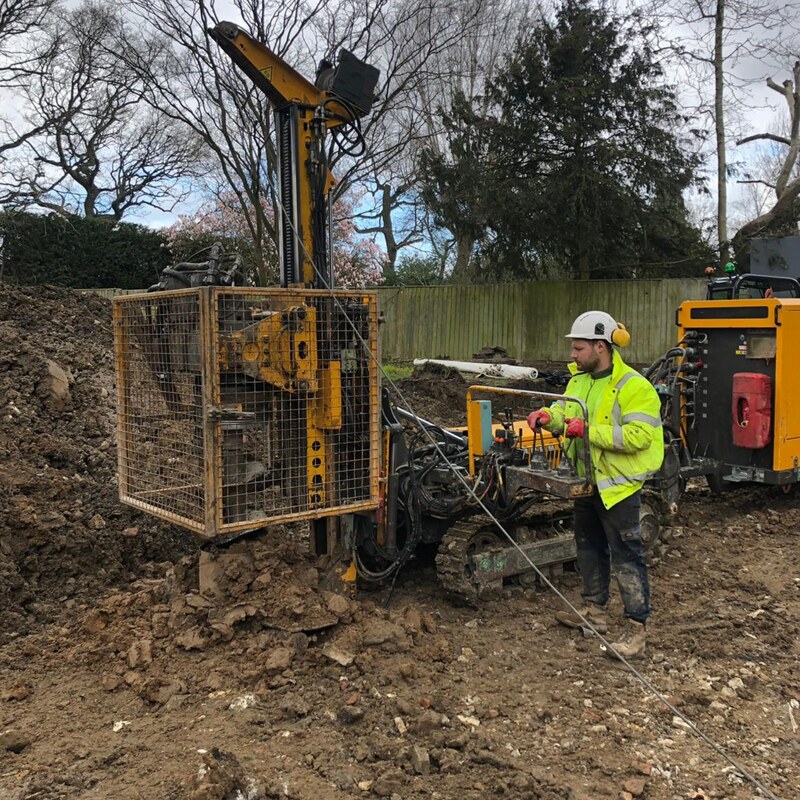 MEC Groundworks – Piling Division installed 25No 450mm diameter piles to depths up to 17.5m in the rear garden of a prestigious residential house. 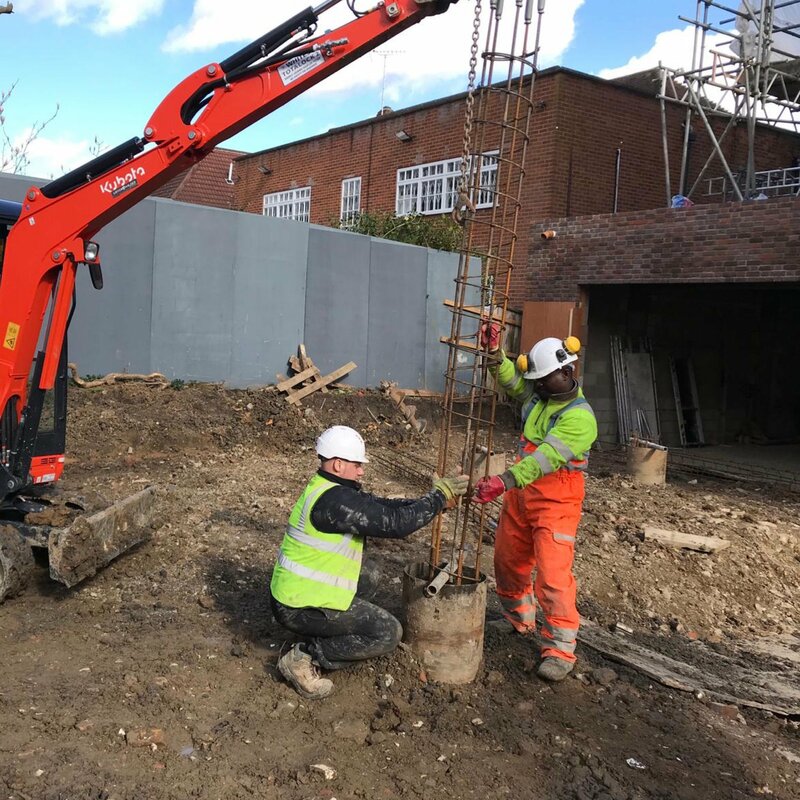 The piles were required to form part of the foundations of a new swimming pool structure. 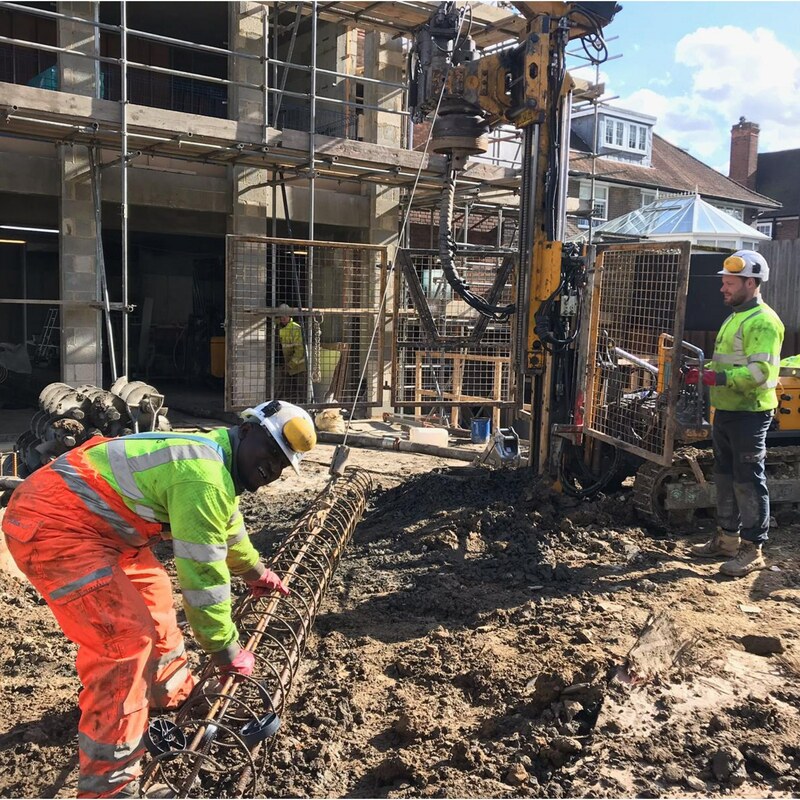 Working closely with our client we decided the most cost effective access option to the rear garden was through the existing house. 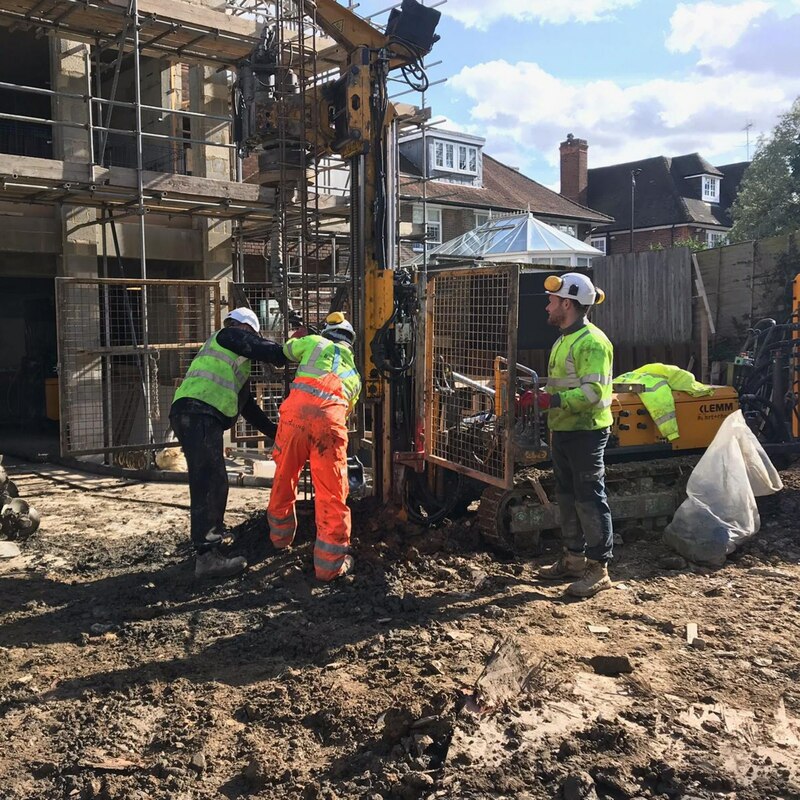 To avoid expensive cranage, a solution of back propping to the existing groundfloor slab was adopted. 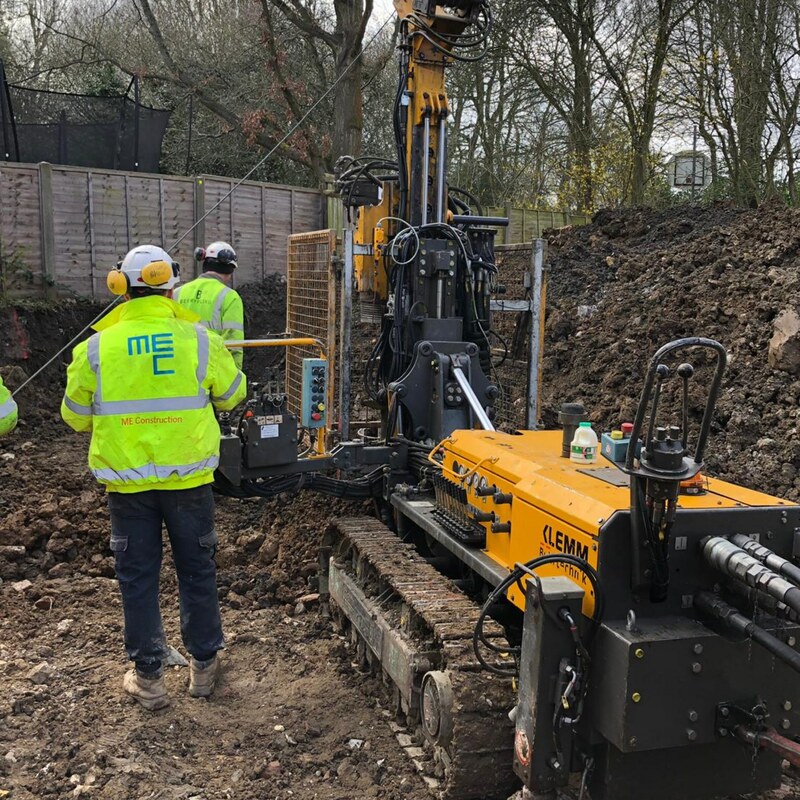 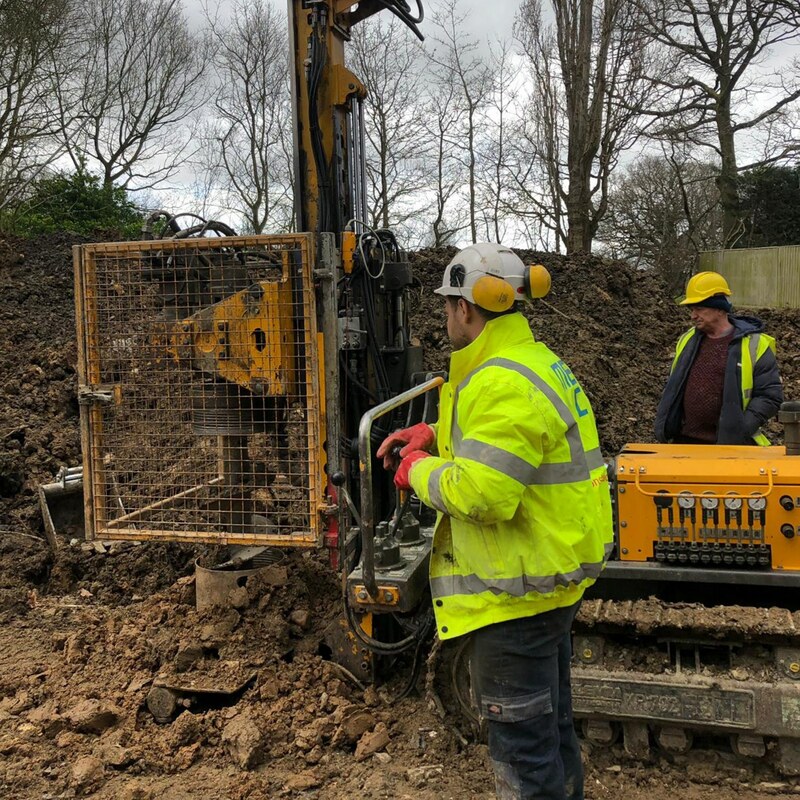 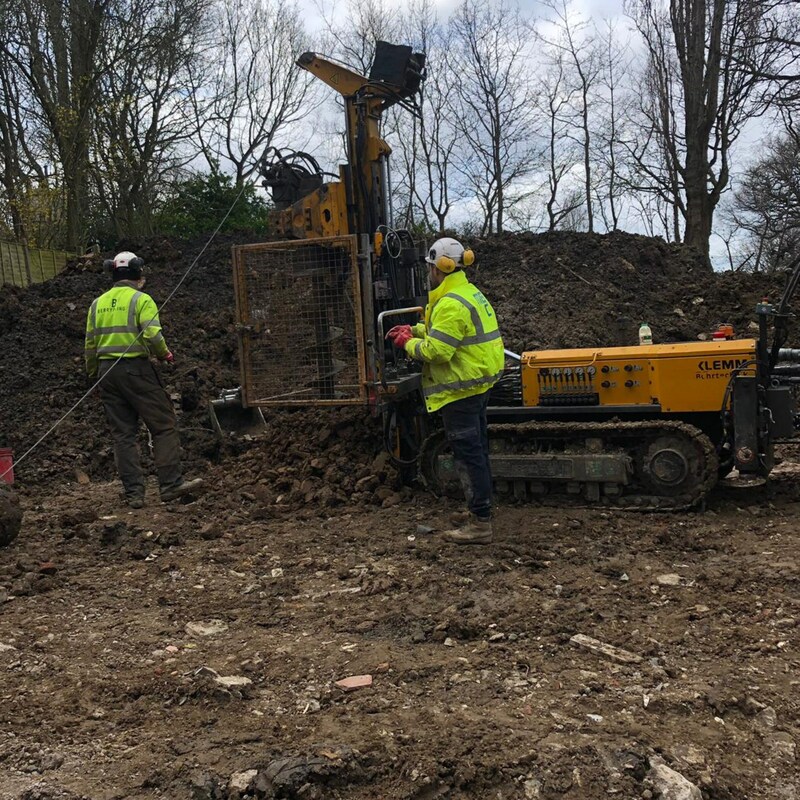 Once propping had been completed we could simply track our restricted access Klemm KR702-02 piling rig straight across the slab and into the rear garden to complete the piling works.